Three different fairy tales by Hans Christian Andersen were the theme of the display. Each fairy tale was illustrated and then animated. walking the line of children and adults stories and being charming or horrifying at the same time, Andersen’s fairy tales supplied an ample amount of inspiration and interest to work with. 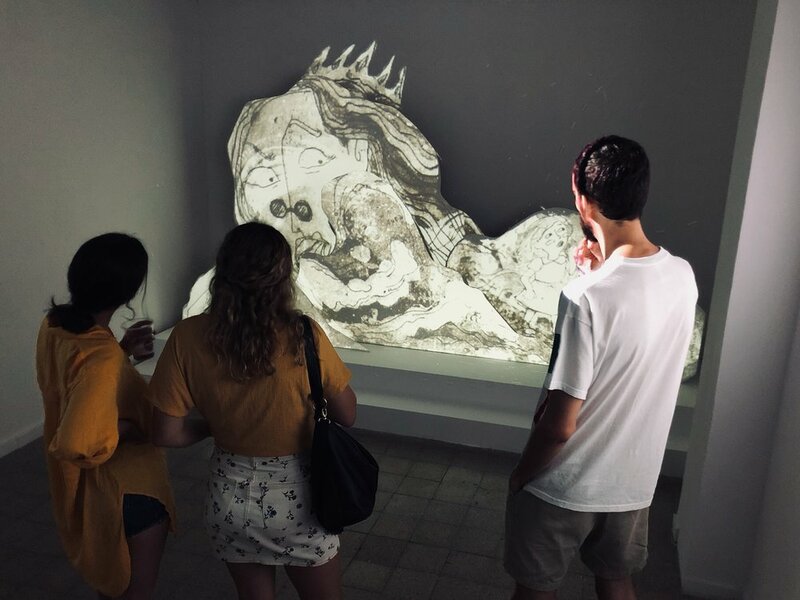 There are 5 wooden boards shaped as forms flowing out of a book, on which the animation is being projected.